Broadly speaking I like modern translations of the Bible over the traditional King James Version, but… But sometimes the old King James just sounds better, or more familiar. Here at the close of Psalm 148 we have a case in point. 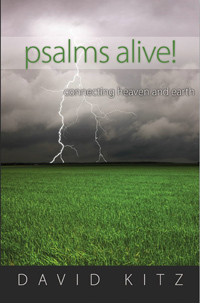 The New International Version ends the psalm with these words: Praise the LORD. The King James Version ends the psalm with Praise ye the LORD. But a more literal translation or transliteration of this final phrase is Hallelujah! The footnotes to the New American Standard Bible point out that Hallelu means praise, while JAH is the abbreviated Hebrew name for God, which is often translated Jehovah or more accurately Yahweh. Whenever you see the phrase praise the LORD, you are actually looking at a translation of the Hebrew word hallelujah! Hallelujah is entirely absent from the New International Version of the Bible. It has also been scrubbed from most of the other modern translations. To put it bluntly, I miss hallelujah. It has an uplifting ring to it. Hallelujah skips off the tongue like a shooting star. It bursts forth from a thankful heart like fireworks on a summer night. For the Christian believer Christmas is the great Hallelujah! God has come to the earth and been born as a baby like you and me. This is the beginning of the great redemption story. The resurrection is the second great Hallelujah! The Son of God was vindicated. His death was not in vain. He conquered death, our greatest foe, and now Jesus reigns on high forever. That calls for a hallelujah! And for good measure, let’s add praise the LORD too! The one who at his birth was laid in a manger is the King of kings and the Lord of lords. As Handel’s Messiah proclaims, “He shall reign forever and ever. Hallelujah!” Let the hallelujahs resound from the earth to the heavens as we join in the song of the angels—the song of the ages. Response: LORD God, I praise you for sending Jesus. I praise you for your great plan of redemption. Jesus, I thank you for carrying my sins to Calvary. I rejoice in your resurrection victory. Hallelujah! Amen. Your Turn: Do you enjoy Handel’s Hallelujah Chorus? What is your favorite expression of praise to God? Finally, for all my fellow Canadians, I wish you a wonderful Thanksgiving Day. We have so much to be thankful for! Hallelujah!